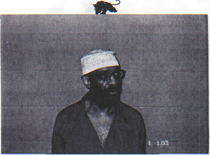 Albert Washington is 64 years old and has been locked up in U.S. dungeons since 1971. To the people, to the revolutionary movement, he is known simply as Nuh, the Arabic form of the name Noah. This past December, cancer was found in Nuh’s liver. Doctors gave him three to ten months to live. In March he was moved out of Comstock Prison to the prison medical facility at Coxsackie in Upstate New York. This system is utterly merciless. It has neither forgotten or forgiven the revolutionary stand of Nuh. Even now when he faces death from cancer, they refuse to release him. 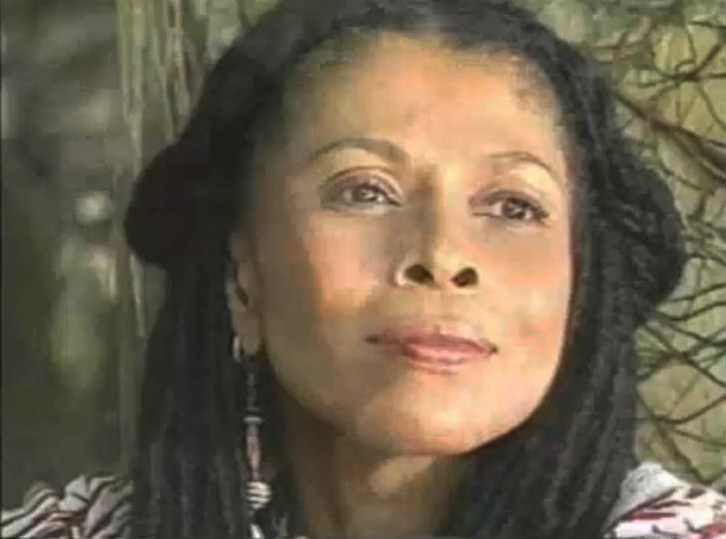 In Oakland, April 22, it was clear that the life and struggle of Nuh is remembered among the people too–in a totally different way. That evening 150 people turned out for a moving evening tribute to Nuh Abdul Qayyum (as he calls himself since embracing Islam).Here, he was honored and celebrated. Here the demand was raised that, at last, this revolutionary fighter must walk free from the system’s prisons after 29 years of unjust and brutal confinement–to embrace his comrades and loved ones one last time. 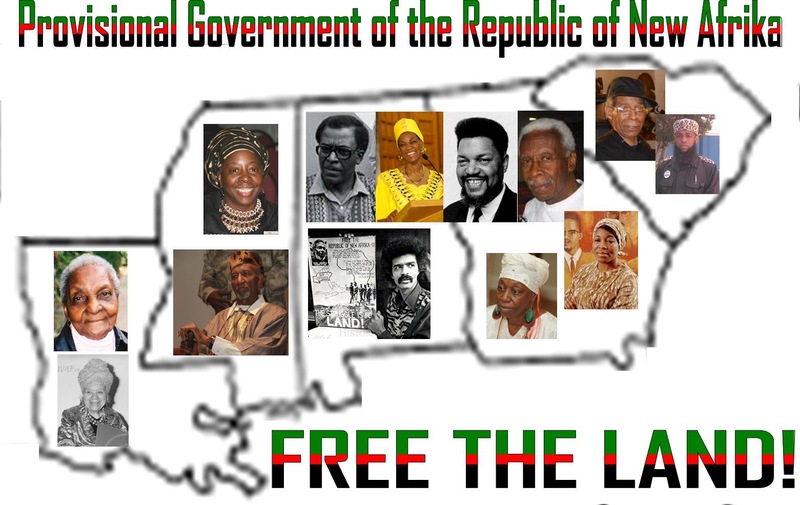 In the early 1970s, after years active in the Black liberation struggle, Nuh was shot and captured together with Anthony Bottom (now Jalil Muntaquin). 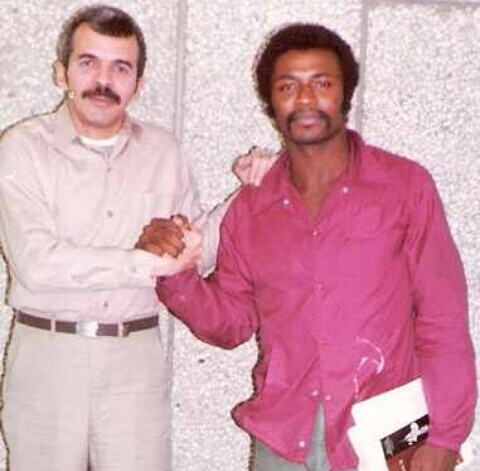 Along with Herman Bell, they were charged with murdering two cops and became known as the New York 3. Their crime, in the eyes of this system, was their revolutionary politics and their determination to win the liberation of Black people. In secret, resources of the FBI and other authorities were mobilized to railroad these fighters to prison. 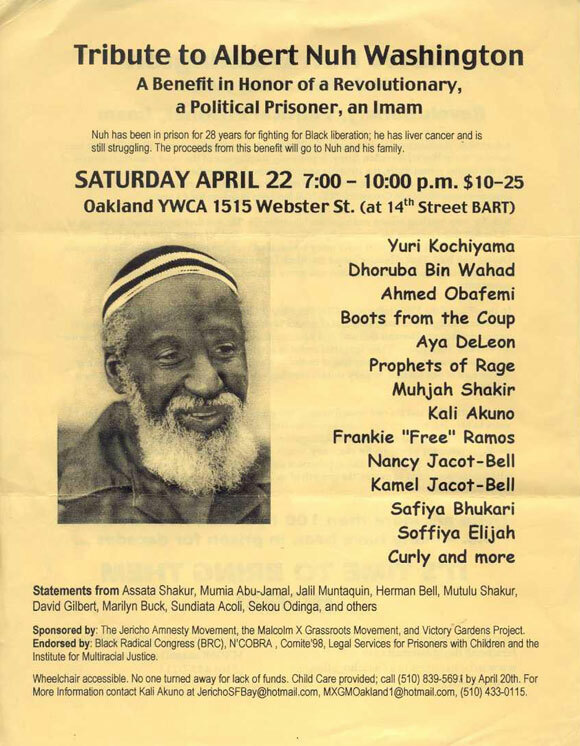 The Oakland event was titled a “Benefit in honor of a Revolutionary, a Political Prisoner, an Imam.” It was sponsored by the Jericho Amnesty Movement, the Malcolm X Grassroots Movement, and Victory Gardens Project. It brought together people from across the country–some folks came from as far as New York–to pay tribute and express their support for Nuh. It featured words from friends, former comrades, and supporters, spoken word performances, and two heart-warming video interviews with Nuh from prison. 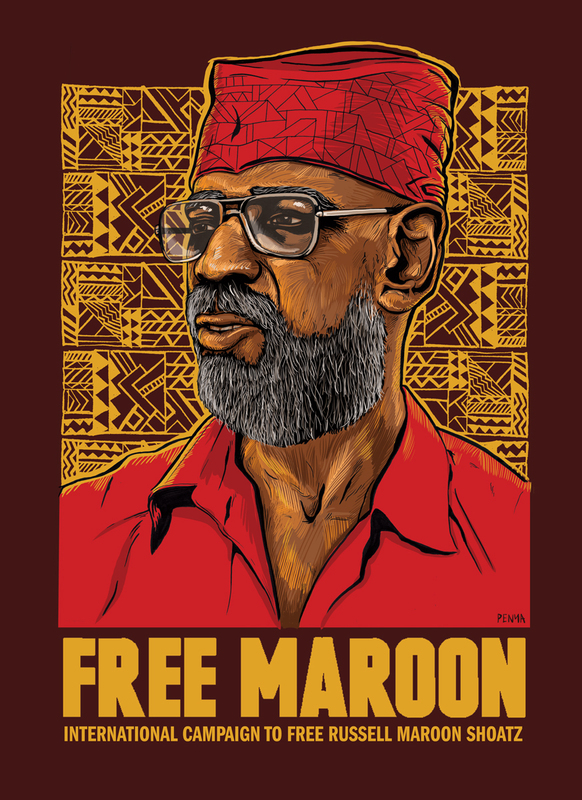 Other political prisoners, including Mumia Abu-Jamal, Sekou Odinga, Sundiata Acoli, and Marilyn Buck sent statements of solidarity. Muhjah Shakir, Jericho Western Regional Coordinator, opened the program. 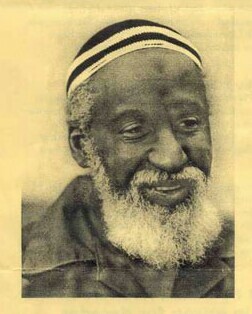 Ahmed Obafemi of the New Afrikan Peoples Organization and the Malcolm X Grassroots Movement said Nuh had “never given quarter to the enemy,” but continued his work through young brothers in prison. He called on people to fight to get Nuh out of the hands of the enemy. Rico Pabon of the Prophets of Rage performed a live spoken word piece linking Nuh’s struggle and the Puerto Rican independence movement. The poet Ms. Little performed a moving piece about losing her dad to prison at 6 years old and what it meant for her to be part of the struggle to free Mumia Abu-Jamal. Kamel Jacot-Bell, the son of Herman Bell, and Nancy Jacot-Bell expressed that Nuh and unrepentant fighters like him are “true heroes” for the new generation. Long-time liberation fighter Yuri Kochiyama read a statement from political prisoner Marilyn Buck describing Nuh as warm, thoughtful and clear minded. Other speakers included Imam Abdul-Alim Musa of Masjid Al-Islam in Oakland, poet Aya DeLeon, former Black Panther Thomas “Blood” McRary, prison rights activist and former political prisoner Donna Wilmott, and poet and former Black Panther Raul “Curly” Estremera. In video interviews with Nuh made in prison, he talked of how, when he was 14, he made a pact with a friend to liberate Africa, “which was wild, because we were living here at the time!” He described studying the Red Book of Mao Tsetung as a practical guide to solving problems, the importance of criticism-self-criticism, and dealing with hard times in a principled manner by being open and above-board with each other. 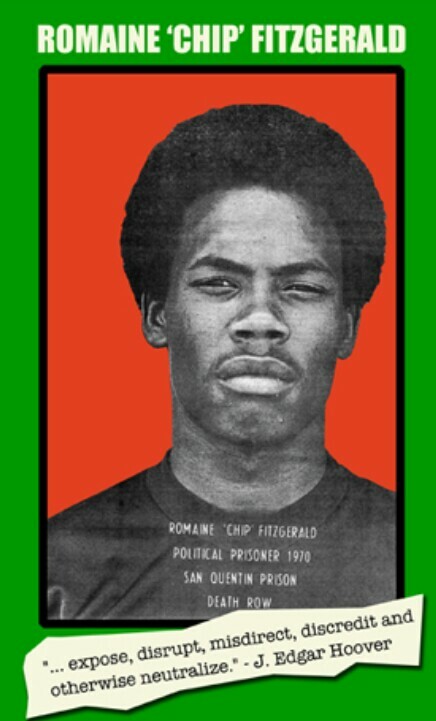 Chip is the definition of a political prisoner, and is the longest-held Black Panther Party political prisoner. Indeed, at his last parole hearing, in July 2008, he was vigorously challenged by a Board member about his political views, past and present, and summarily denied. To date Chip has been incarcerated for more than 47 years. During this time he has loss his parents and a host of family/friends. I have followed, supported, and I continue to follow and sujpport your heroic struggle to rid Israeli occupation of your homeland. Almost daily we hear of israeli tank shells and missiles firing into your homes, your hospitals, and school buildings; we see pictures of broken bodies being dug from the rubble. Whole neighborhoods and vital resources: food, water, electricity are decimated. So much death, bloodshed, and destruction when seizing and occupying other people’s land, an old narrative that Indigenous people the world over know so well. 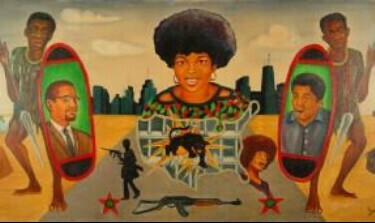 Since the inception of our first hunger strike in July 2011, I’ve been repeatedly asked, “Why did you risk putting your life on the line and go on all three hunger strikes?” My response has simply been this: We New Afrikans have a historical obligation to protect and serve the people through the crucible of forging a united front by joining forces with ALL like-minded individuals, regardless of race, color, creed or gender. 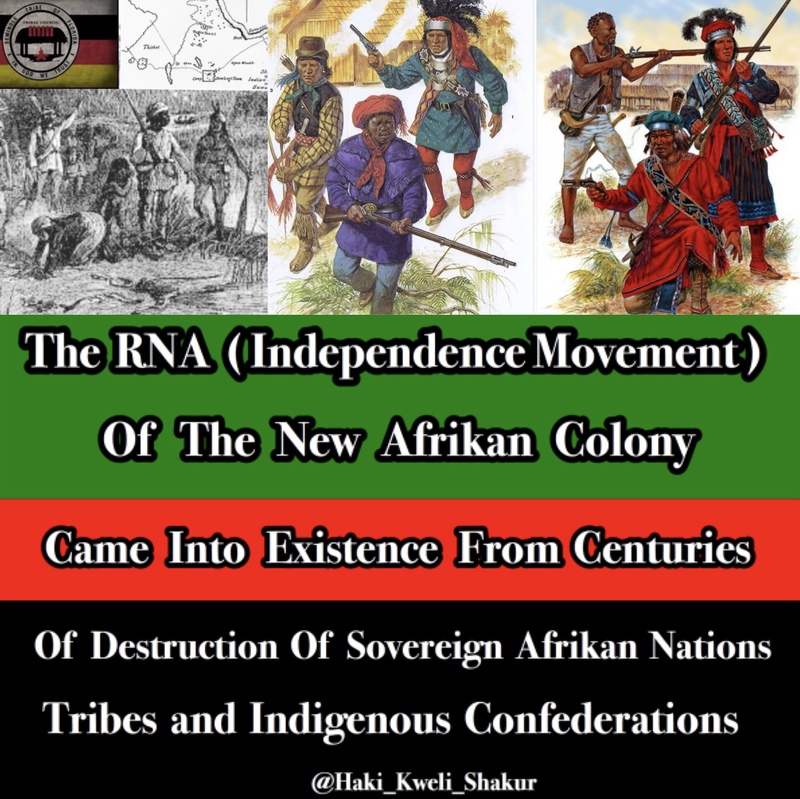 Our historical obligation in particular is rooted in the year 1619 via the Trans-Atlantic slave trade from which the Abolitionist Movement, the Civil Rights Movement, the Black Liberation Movement and the New Afrikan Independence Movement were spawned. Our historical obligation has left us with the choice of freedom or death, meaning that it is up to us to go about liberating ourselves from the torturous and oppressive political, social, cultural and economic living conditions that the ruling class has subjugated us to in solitary confinement for the past 40-plus years via U.S. colonial rule. Or we could have accepted the prescribed role of oppressed man and woman for the next 40-plus years, which would have assured our eventual demise! Note: We must never forget all of the women prisoners who courageously stood in solidarity with us. 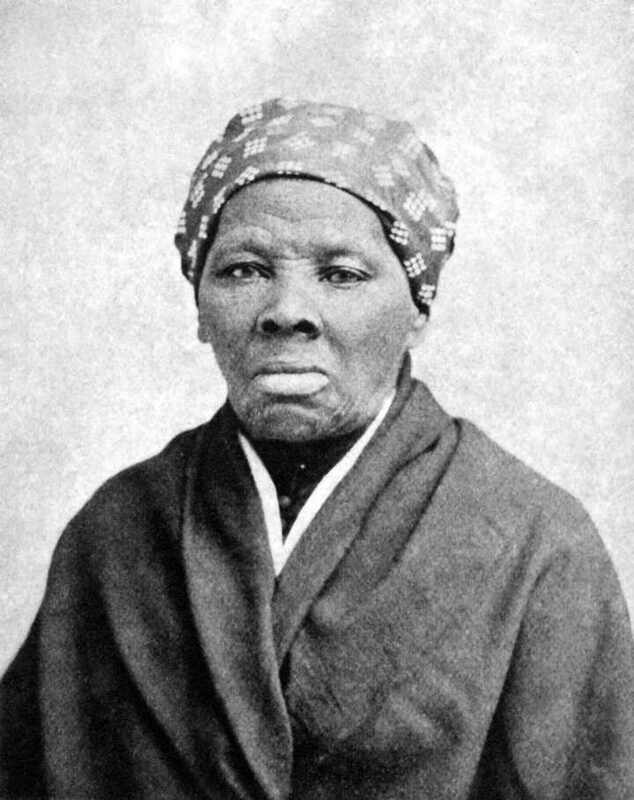 Our beloved New Afrikan Sista Harriet Tubman clearly understood our historical obligation when she not only liberated herself from the confines of the slave plantation where she was kept but also returned 20 times – despite the danger of being recaptured – via the mutual aid construct of the Underground Railroad to help liberate over 300 of her fellow slaves from the barbaric and diabolical culture of slavery, where rapes and lynchings occurred daily. Prior to our first series of hunger strikes in 2011, CDCR’s genocide population control mandates were already in place and consisted of 1) the indefinite internment of prisoners in their solitary confinement torture chambers for absurd reasons, where prisoners are de-socialized and dehumanized in every extreme and 2) the regulation of prisoners to incommunicado status by accusing prisoners and our families of gang activity via the issuance of arbitrary and fraudulent stopped mail notifications stopping the mail that our families and friends in the community send to us. In 2008, my family attempted to assist in my liberation from these slave kamps (prisons) for my September 2008 Parole Board hearing. 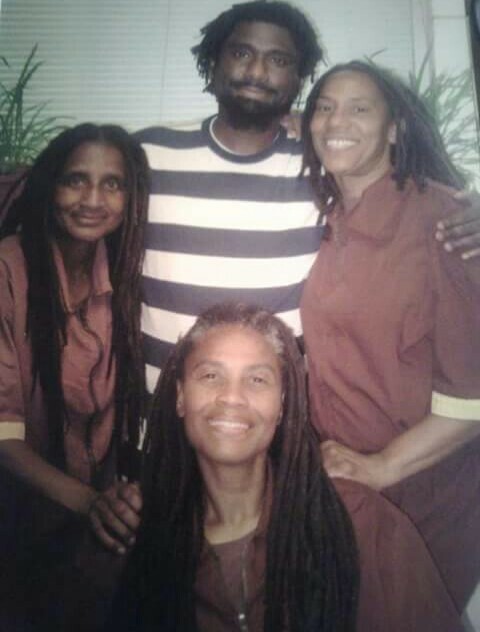 The California Department of Corrections and Rehabilitation’s Prison Intelligence Unit (PIU) sabotaged and criminalized my family’s efforts by falsely labeling my beloved lil’ sista Hannah Bastienne a gang member on account of her letter to inform me that members of the Black Panther Party were going to be attending and supporting a community event that she organized in order to raise awareness about my Parole Board hearing and status as a New Afrikan Black political prisoner. On June 9, 2010, my lil’ sista Hannah Bastienne provided a sworn affidavit in support of my legal case, Harrison v. D.E. Milligan, et al., Case No. C-09-4665-SI (PR), where she stated: “I would like to say for the record that I’m upset that I was accused of such activities. If Investigator D.E. Milligan researched my background before his accusations, which he has access to, he would have found that I am a permanent resident of California since 1999 and that my background is clean, with a perfect record. “I truly believe that if Investigator D.E. Milligan was highly concerned, he would have completed a background check on me and would have discovered that his claim was untrue. Investigator D.E. Milligan, in fact, would have found that my arranged meeting was in fact a ‘community reach-out’ event. D.E. Milligan’s false accusation was based upon that I had mentioned to Marcus that a former Black Panther had been invited to attend my meeting. The above is a concrete example of how CDCR-PIU officials have escalated the continuum of their fascist policies and practices of criminalizing prisoners and our families and friends via psychological intimidation. This should serve as a reminder that our historical obligation is to protect and serve people like Hannah Bastienne through the course of pursuing the total liberation of all oppressed people! And we must demand that the humanity of ALL be respected because intentionally falsifying allegations against law-abiding citizens is an inhumane practice that needs to stop immediately! Hence, I am asking that the community launch a letter-writing campaign to protest and voice your outrage over this contradiction and demand CDCR-PIU immediately cease and desist the criminalization of our families and friends in the community. I have also created the Pelican Bay Human Rights Movement First Amendment Campaign as a community-based infrastructure in order to protect the people from these types of human rights abuses. But unfortunately, it is still in its embryonic stage of development due to too many people paying lip service to the work that needs to be done, thus leaving a serious void of any real outside community support. So I urge the people – in particular those who have experienced a similar dilemma as our sista Hannah Bastienne – to read the PBHRM-FAC’s mission statement in order to raise your understanding about our work, which should motivate everybody to get involved. But don’t just stop there. After reading the mission statement, check out the “Survey questionnaire from the Pelican Bay Human Rights Movement First Amendment Campaign.” Then discuss it on Instagram, tweet about it to a friend and email a copy of these materials to a friend and ask them to do the same, as this is consistent with our legacy of “each one teach one” via the construct of mutual aid and cooperation. I would like to thank the community for providing me with a minute of your time and hopefully the people of our communities will find it in them to act upon our historical obligation by coming to the aid of our family members and loved ones to protect and defend them against this type of tyranny, as there is truly no other alternative! All power to the people who do not fear real freedom! Send our brother some love and light: Kijana Tashiri Askari (s/n Marcus Harrison), H-54077, PBSP-SHU, D3-122, P.O. Box 7500, Crescent City, CA 95532. “Our claims bow to active native American claims, which predate our own, where such claims are made by native Nations in the territory or seeking return to it. Not only do We recognize the justice of such claims, but We pledge to struggle to fulfill them as We struggle to establish our own sovereign state. These struggles are against the same imperialist. They are not contradictory. Many native Americans have supported the New Afrikan Independence struggle. As recently as February 7, 1990, Vernon Bellecourt of the American Indian Movement, and the Chippewa Nation expressed (their) support for our movement and our objectives. 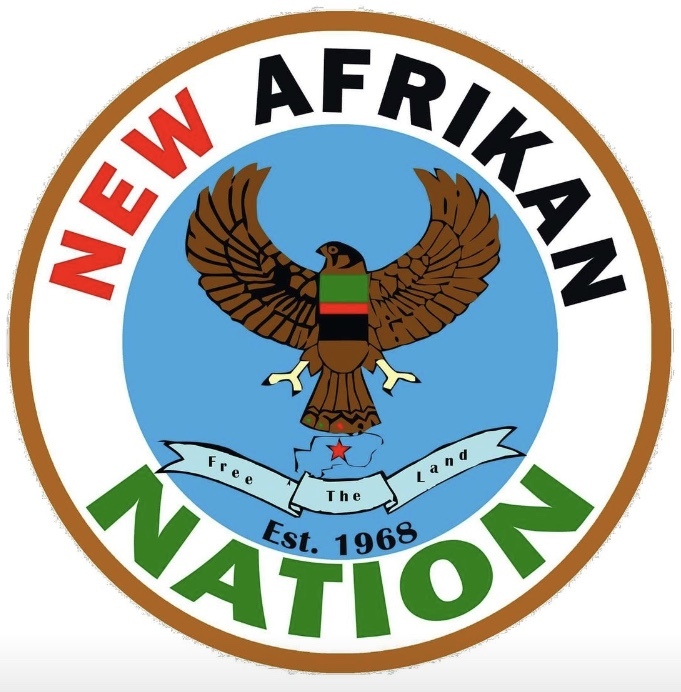 What is clear is that New Afrikan Independence movement claims are not made against Native nations but against the imperialist that occupy the land. Our claims are based on birthright, bloodshed, development, and long- time inhabitance of the territory, and on rights, which derive from long-time political and military alliances and joint work with Native Americans, not to mention extensive blood ties with our native brothers and sisters. In various treaties between native people and the U.S. government, our land rights are upheld by the native nations. Articles 3 of the New Afrikan Constitution. representatives of these original people. This article was originally published in the New Afrikan Community Bulletin (NACB) in August 1995. 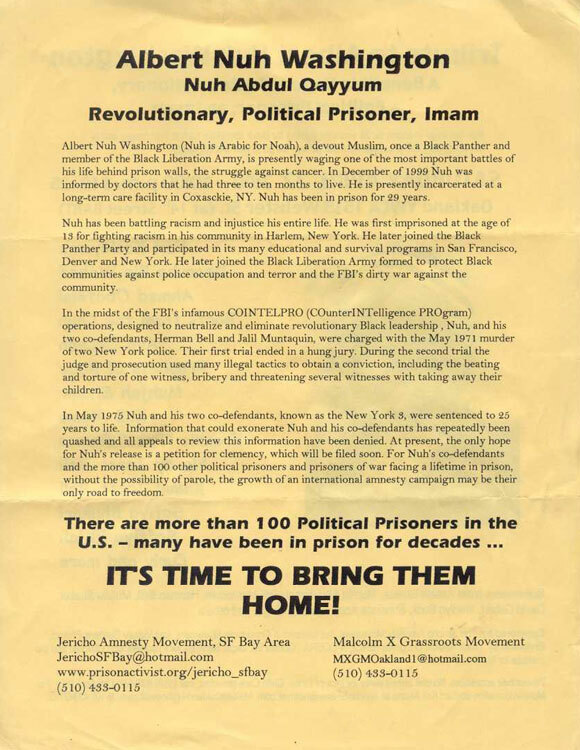 The NACB was the publication of The Freedom Network, a cadre of New Afrikans who organized in the Michigan state prison system during the 1990s. The late Omowale Diop Ankobia was a cadre member. This article was one in a series in which Bro. Omowale expounded on limited topics. I’m back. Proceeding from Cheikh Anta Diop’s explanation that group unity is the prerequisite to Liberation. Overstanding liberation to be LAND, INDEPENDENCE and UJAMAA, i seek to contribute to clarity. So let’s begin by kicking it about LAND. The emissaries left and came back the next day and asked for 20 li of LAND. Saying that in such a vast nation 20 li was minuscule, The King consulted his advisors who agreed that the nation possessed much LAND and wouldn’t miss 20 li. The King had the advisors beheaded, mobilized the army and crushed the invaders, saying “LAND is the basis of the Nation. If the LAND is taken the people are destroyed. Not even 1 li of LAND can be taken without harm to THE PEOPLE. One of New Afrika’s greatest Griots, Haki Madhubuti says, “LAND is the one thing nobody is making any more of.” A LANDless people are a homeless people. Dr. Ben’s statement that We can not be men in another man’s house is instructive. We cannot be Liberated on LAND controlled by others. For clarity LAND is: 1) The solid ground of the earth. 2) The soil; the earth. 3) A Nation; b) a district or region inhabited by a particular people; c) territorial possession. A Nation cannot realize itself without LAND. LAND that it owns and controls. Those of you familiar with the Moses story know it’s about LAND. Moses said God told him to tell the people to leave the LAND of the Egyptians and possess some LAND for themselves; LAND where they could practice and develop their culture. Where they could feed, clothe and house themselves the way they wanted. There’s a song that keeps coming to my mind. It’s a song i first heard when i was in junior high, around 1963. The words are: This LAND is my LAND. God gave this LAND to me. This brave and ancient LAND to me. And if i must fight, i’ll fight to make this LAND my own. When i first heard it, it had no real meaning for me. i didn’t know who wrote it or why. i know now and although those who wrote it had/have no right to the LAND they were/are referring to, i understand the importance of THE LAND and the song. fight to possess what is ours then We must fight. And We must fight with any means necessary and available. Conquerors have no rights the conquered are bound to respect. The importance of LAND cannot be overemphasized. It is the “material basis upon which We can exercise Our collective will.” We can never fully realize ourselves, actualize ourselves, living on LAND governed by our historical/contemporary enemies. Affirmative action, enterprise zones, buying Black, etc., are tactics, not th1e objective. The objective is real Nationhood. That is, Nationhood on LAND that We govern. LAND on which We affirm ourselves. LAND on which enterprise is not restricted to zones. 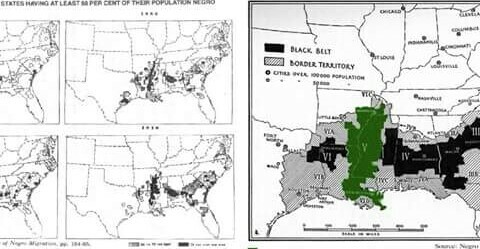 LAND where buyer and seller are Black. 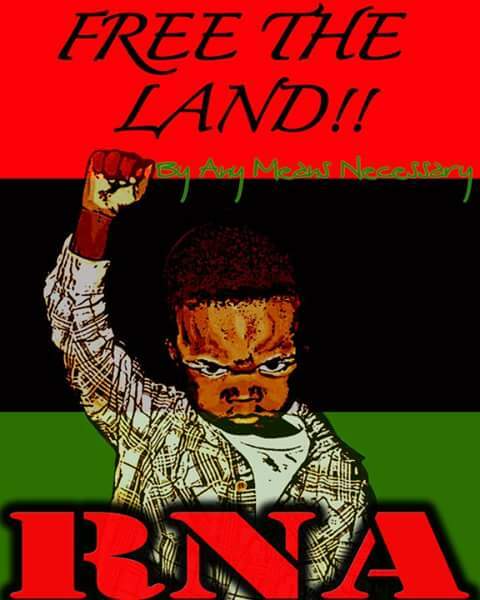 THE BLACK LAND: NEW AFRIKA. Everything We need comes from the LAND. Food, clothing and shelter are produced from the resources of the earth. On the continent, before the coming of the european, LAND was held in common. It was shared and distributed in such a way that everyone had enough to adequately provide for themselves. The LAND belonged to THE PEOPLE and to sell it was unimaginable. We understood that THE LAND and THE PEOPLE were/are inseparable. Dig, i know you Brothas and Sistas are asking, “What We gon do right now?” Control where We are as We move to New Afrika. Let’s take a look at detroit, We should change the name to New Kemet. But what We must do is exercise our collective will in detroit. Unashamedly, We should proclaim detroit Afrikan. Anything that is not beneficial to Afrikan People should not be in detroit, furthermore, only Afrikans should be in power in detroit. Foreign merchants should not be allowed to operate in detroit without paying what would be contributed by native merchants. It is about us. It is about Afrikan Survival, Development, and Enhancement. *We did then and do now understand the extremely sexist aspect of this allegory and in no way endorse any policy that diminishes the value or humanity of women. In addition to upholding integrity of ancient story, we also felt that because our primary readership was prisoners — who because of their separation from and intense desire for female companionship — that such an analogy (truly unthinkable to the average prisoner) might increase the value of land in their understanding. 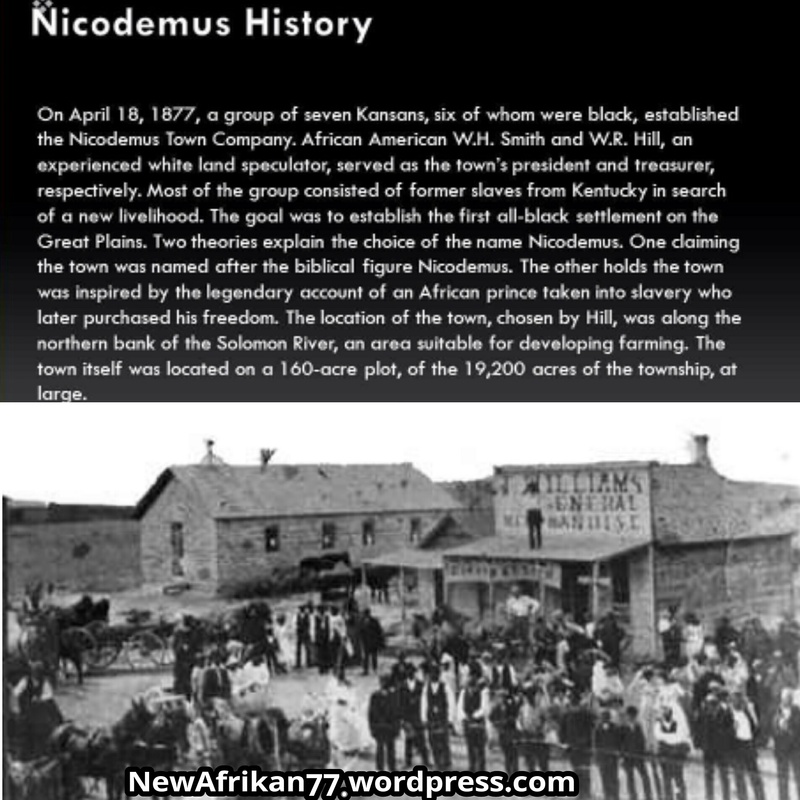 #Thestruggleizforland #Nicodemus On April 18, 1877, a group of seven Kansans, six of whom were black, established the Nicodemus Town Company. African American W.H. Smith and W.R. Hill, an experienced white land speculator, served as the town’s president and treasurer, respectively. Most of the group consisted of former slaves from Kentucky in search of a new livelihood. The goal was to establish the first all-black settlement on the Great Plains. Two theories explain the choice of the name Nicodemus. One claiming the town was named after the biblical figure Nicodemus. The other holds the town was inspired by the legendary account of an African prince taken into slavery who later purchased his freedom.The location of the town, chosen by Hill, was along the northern bank of the Solomon River, an area suitable for developing farming.The town itself was located on a 160-acre plot, of the 19,200 acres of the township, at large. Smith and Hill made efforts to promote the town and attract new settlers. Publications describing the resources and benefits of moving to the area were mailed to prospective migrants across the South. Early promotional efforts were directed towards attracting people with enough money to develop the town.Residential lots cost $5 while commercial lots were $75.The promoters charged additional fees for establishing the settlers on the land. Efforts succeeded in bringing groups of colonists from Eastern Kansas andKentucky, at one point the population reached about 600 people in 1878. The early Settlers found life in Nicodemus to be challenging. Some people turned around after seeing the scarcity of resources. Most were very poor farmers who came without money and other provisions. Without proper tools and equipment, such as plows, wagons, and horses, farmers could not efficiently develop the rough land; some resorted to using hand tools to make improvised fields. A lack of timber forced settlers to build homes out of prairie sod. To earn money some people collected and sold Buffalo bones found on the plains; others ventured miles away to work for the railroads.In response to the hardships, townsfolk reached out to other communities, private charities, and even the Osage Native American Tribe. 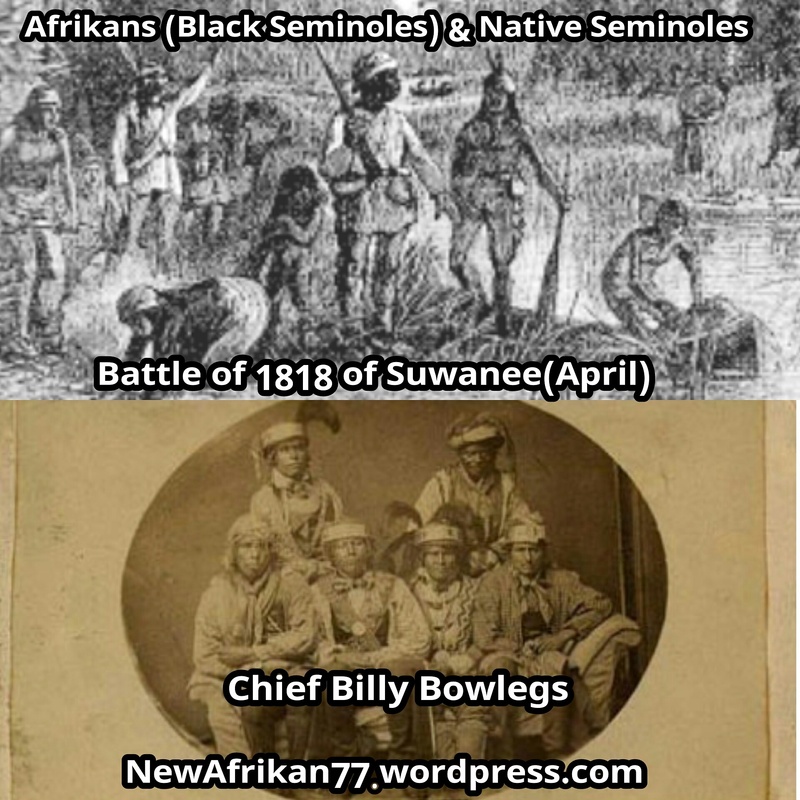 Afrikans/Black Seminoles & Native Seminoles Defeated at battle of Suwanee April 16-18 1818, there were many other Black leaders of the Seminole tribe. It would take at least two more major wars of resistance before the Seminoles and their Black allies lost possession of those lands. In the spring 1818, during the final stages of the First Seminole War (1816–18), General Andrew Jackson led 1,500 soldiers and 1,800 allied Creek in a two-pronged campaign to end Seminole resistance in north-central Florida. On April 12, the Creek, led by mixed-blood William McIntosh, discovered a much smaller force of 200 Seminole under Peter McQueen in a swamp between the Econfina and Suwanee Rivers. The Creek forced the Seminole into the open and virtually destroyed them. When the fighting was over, 37 men were killed and some 100 taken prisoner. A few days later, on April 16, Jackson reached the town of Seminole chief Billy Bowlegs on the Suwanee River. The Indians had fled upon learning of the Americans’ approach, but the town had become a haven for escaped slaves. Those who remained in the town made a brief stand before fleeing across the river. 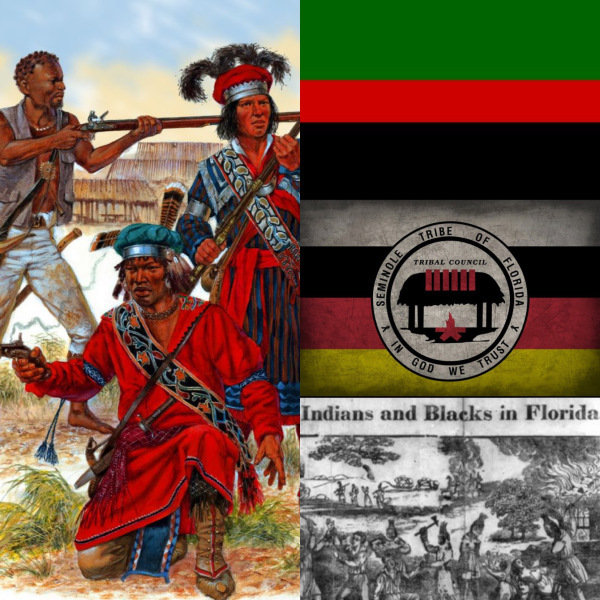 Black Seminoles: the former slaves at Fort Mose went to Cuba with the Spanish when they left Florida in 1763, others lived with or near various bands of Indians. 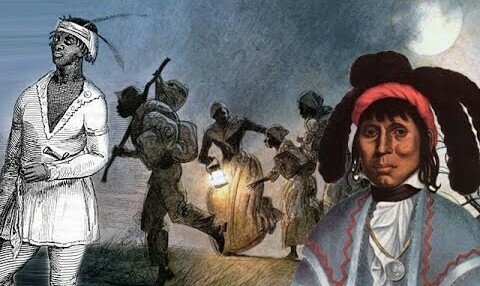 Slaves continued to escape from the Carolinas and Georgia and make their way to Florida. The blacks who stayed with or later joined the Seminoles became integrated into the tribes, learning the languages, adopting the dress, and inter-marrying. Some of the Black Seminoles, as they were called, became important tribal leaders. Jackson left St. Marks to attack villages along the Suwannee River, which were occupied primarily by fugitive slaves. On April 12, the army found a Red Stick village on the Econfina River, and attacked it. Close to 40 Red Sticks were killed, and about 100 women and children were captured. In the village, they found Elizabeth Stewart, the woman who had been captured in the attack on the supply boat on the Apalachicola River the previous November. The army found the villages on the Suwannee empty, many of the Black Seminoles having escaped to Tampa Bay to the maroon community of Angola. Having destroyed the major Seminole and black villages, Jackson declared victory and sent the Georgia militiamen and the Lower Creeks home..
We are continuing our call the Governors office campaign this Monday April 18th 2016 and April 25th 2016 as we prepare for our sisters May 2016 Parole Hearings. The issue of illegal and unjust parole denials of the move 9 go way beyond the Pennsylvania Parole Board at this point and is a clear issue of the Fraternal Order of Police controlling and dictating the parole decisions that are being made out of Harrisonburg Pennsylvanis as it relates to family. Police Unions and Organizations have never hid nor will they ever hide the fact that they play major role in the denials of Parole for our political prisoners. The Move 9 , Sundiata Acoli, Jalil Muntaqim and Herman Bell are all examples. Please sign The Petition we have aimed at United States Attorney General Loretta Lynch urging an investigation into the wrongful and ongoing imprisonment of The Move 9 . People can sign the petition at https://www.causes.com/campaigns/92454-free-the-move-9. onamove.com for more information !!!! !